Collect quiz results and answers from your users and send this data to your email marketing client. 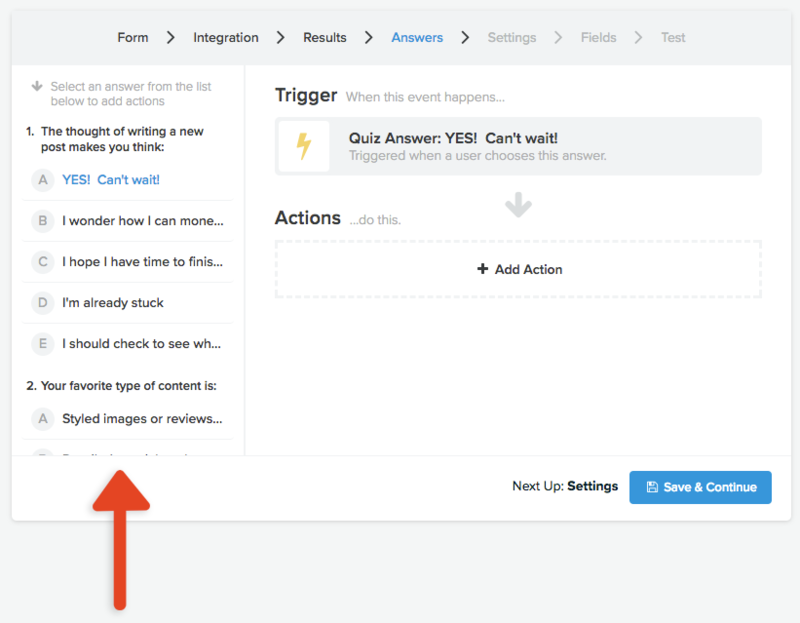 Step 1: In the quiz builder, click the switch marked below so that it changes from OFF to ON. 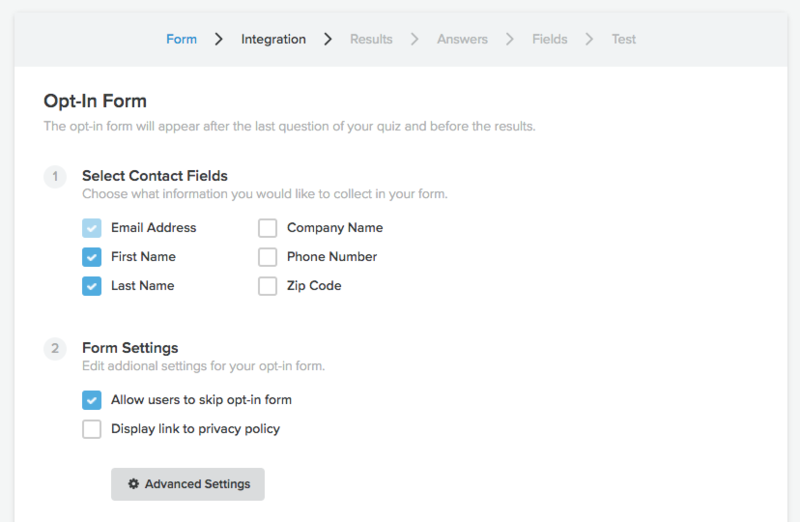 Step 2: Follow the outlined steps to select what contact data you would like to collect from your quiz-takers and customize your opt-in form. 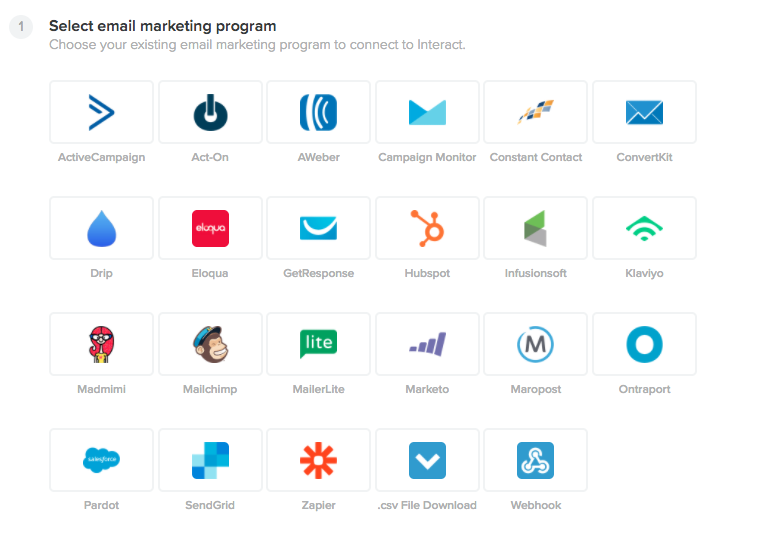 Step 3: Select your email marketing program from the list and complete the authorization process to successfully connect your account. Step 1: Select a quiz result to setup. Click on an option from the list of quiz results in the left sidebar. Step 2: To edit actions, click Add Action and a slider will appear from the right side. You will see a list of available actions to run in your email marketing program. 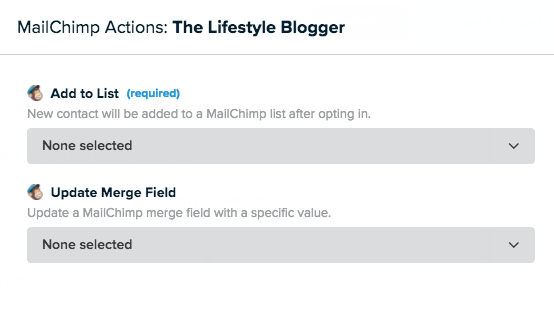 For example, in MailChimp, you may either add a new contact to a email list or update a merge field. Step 3: Click on the dropdown you wish to edit and all available options will load in. Select the appropriate item you would like to connect. Step 4: Complete updating all desired actions. 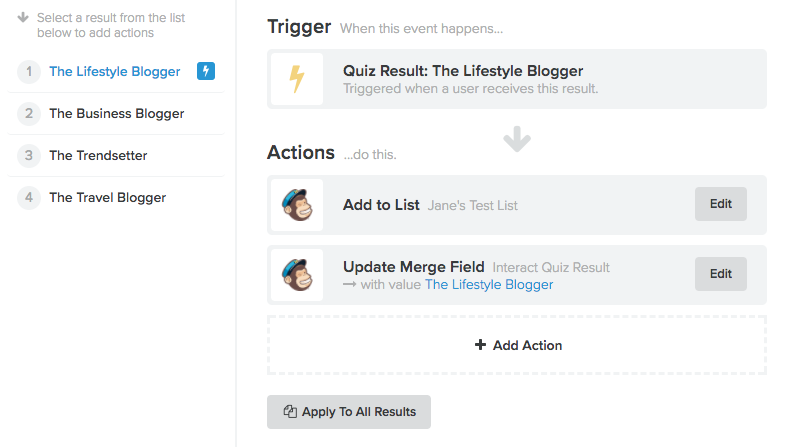 In the setup shown below, our quiz takers who receive the quiz result The Lifestyle Blogger will be added to the MailChimp list Jane's Test List and the merge field Interact Quiz Result will be updated with the value The Lifestyle Blogger. Step 5: You will see a summary of what actions are connected for each and every trigger. You can edit existing actions or add additional actions. If you want to use an existing setup for all quiz results, click Apply To All Results and follow the instructions. 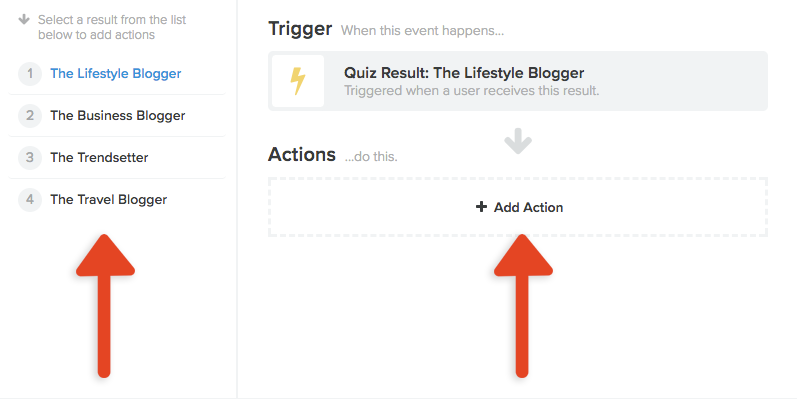 In addition to quiz results, you can connect a set to actions to individual quiz answers (not available for all integrations). The setup is identical to the setup for quiz results. The answers to setup can be selected from the list in the left sidebar as shown below. 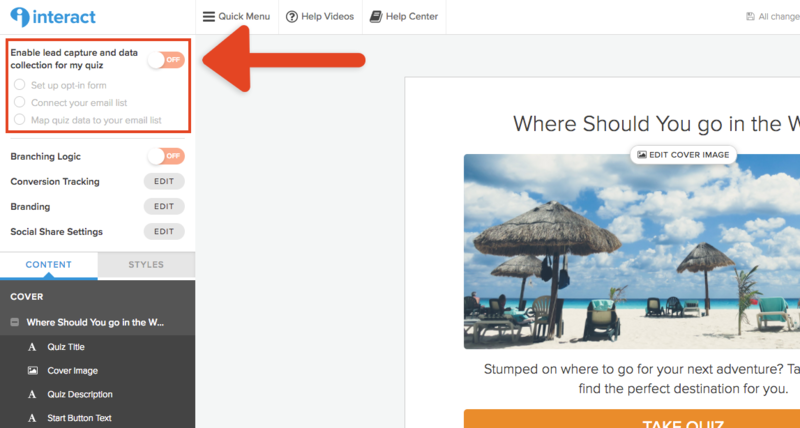 Step 1: Here you will find an overview of the way your opt-in form fields are connected to fields for your connected email marketing program. Step 2: Use the dropdowns to select the field you would like to map to the specified opt-in form field. 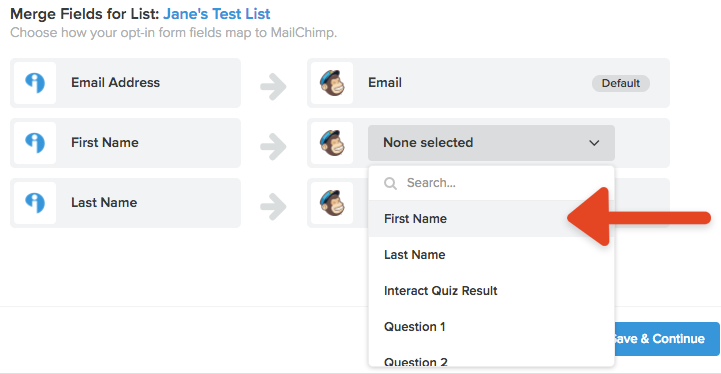 In the example below, we are going to connect the field First Name to the MailChimp merge field First Name. If you have completed the integration setup, you will see a success message along with the ability to test your integration. 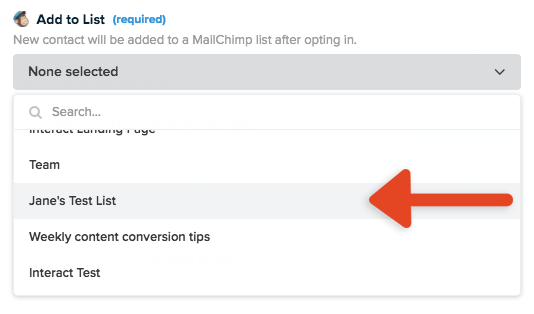 Just click the Test Integration button and follow the instructions in the popup to send test data to your email marketing program and test your setup. This is highly recommended!